Turf grasses (the grasses that are considered lawn grasses) are divided into two categories related to the climates in which they thrive: cool season grasses and warm season grasses. Ohio falls within the transitional climate zone, which makes it tricky to choose an appropriate turf grass, as the weather often gets too warm for many cool season grasses, but is cool enough, often enough, that warm season grasses will not thrive for more than a few months. Fescues are prized for their endurance in transitional regions, and today we will look at the Tall Fescue variety, which performs well across all of the upper United States. There are several Fescue grass varieties, all considered cool season grasses. Fescues were originally pasture grasses, but have been developed into lawn grasses as well. All types of Fescues share the characteristics of drought resistance and shade tolerance, and if properly maintained, will stay green year round. 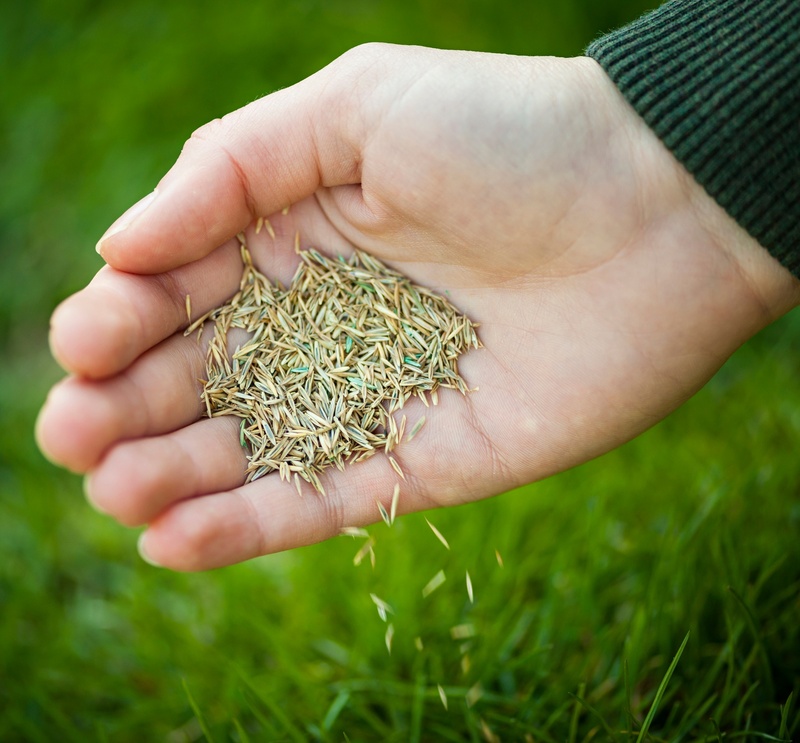 Tall Fescue has some additional properties that make it a favorite among home owners and landscapers alike. Tall Fescue is a bunch type grass that is established from seed. It is coarse bladed and dense, and grows well is shady areas. It also has a dense root system, which makes it very resilient to drought conditions. This, along with its tolerance of shade, makes Tall Fescue a desirable grass in seed mixtures for home lawns. It also stays green year long, giving a typical lawn a sense of aesthetic beauty. Tall Fescue is able to endure heavy foot traffic and other forms of wear and compaction. For that reason, it is also used on many athletic fields, in parks and by hospitals and large corporations wishing to maintain a neat, professional landscape when their public image leaves little room for error. Within the Tall Type Fescue turf grasses exist numerous varieties and adaptations. Kentucky 31 is the most popular and well known type, but there are many others. To see all the varieties, with their specific strengths and weaknesses, please click here. If you're ready to turn your lawn over to the professionals, this free guide will walk you through everything you need to know about hiring a lawn care company. Learn what to look for and what to be wary of when hiring professionals by clicking below! And if you're ready to compare prices for lawn care, make sure to visit our packages page to be able to compare apples to apples!